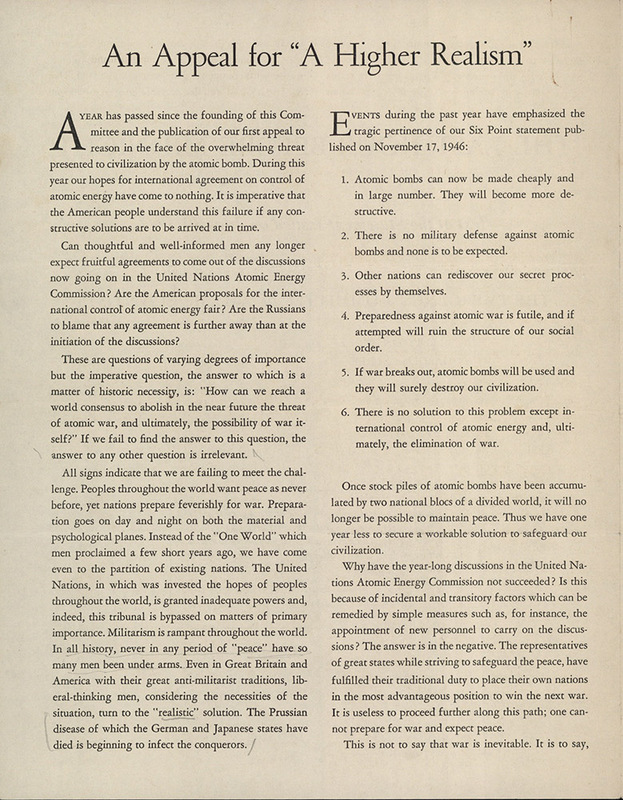 "If we are to have any hope of influencing the Russians, and of convincing them that America wants peace and security for all peoples, we must understand the reasons for their profound distrust of everything foreign which has become the sickness of stubborn isolationism." 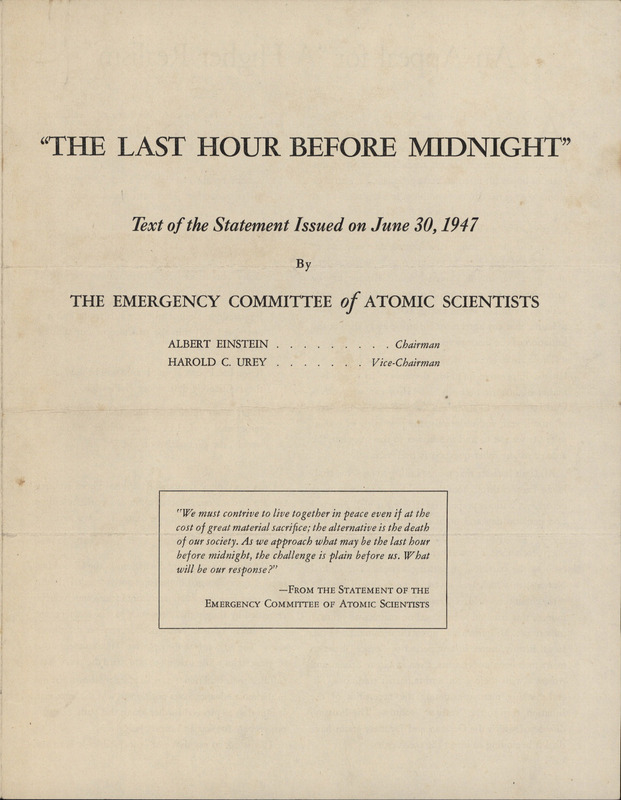 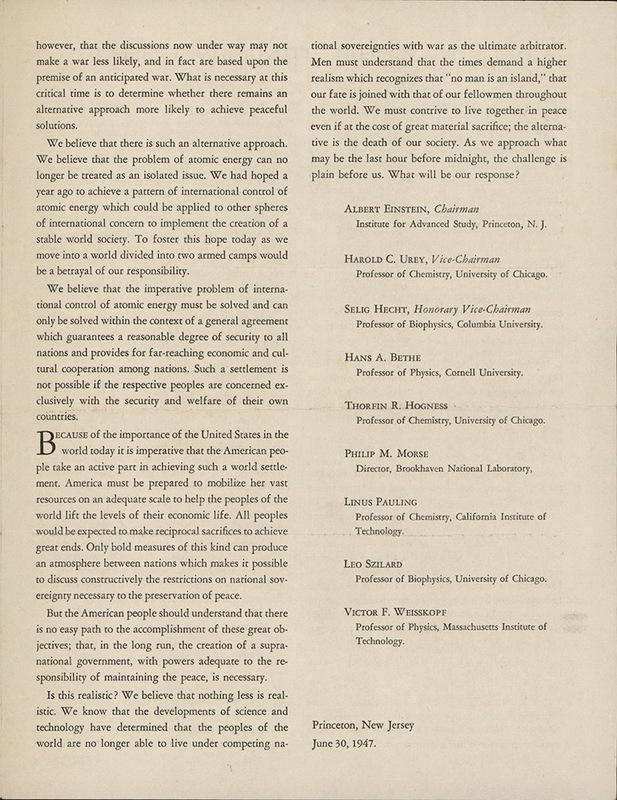 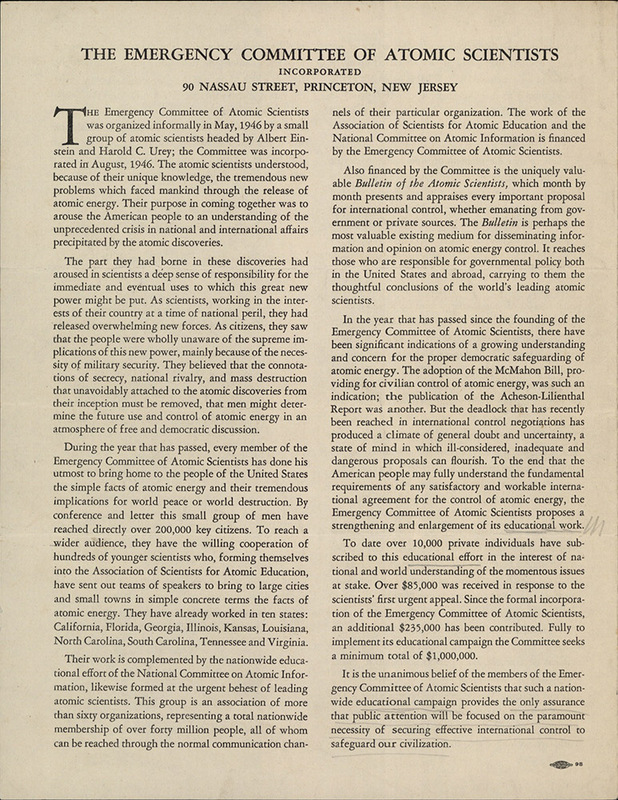 Included with the letter was a printed statement written by the committee from June, 30, 1947 titled "The Last Hour Before Midnight", appealing for "A Higher Realism" in the approach to an international agreement on the control of atomic energy. 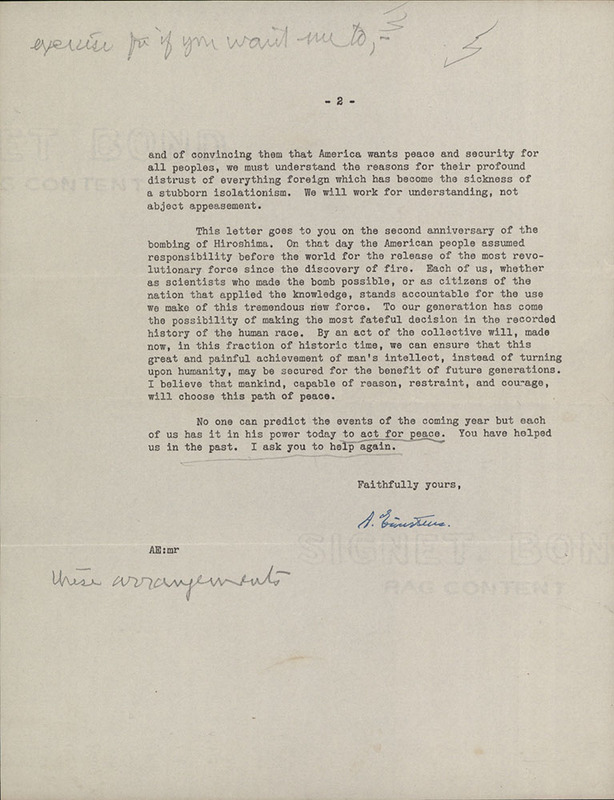 James made notes on the letter, and her a copy of her response to Einstein remains with the letter. 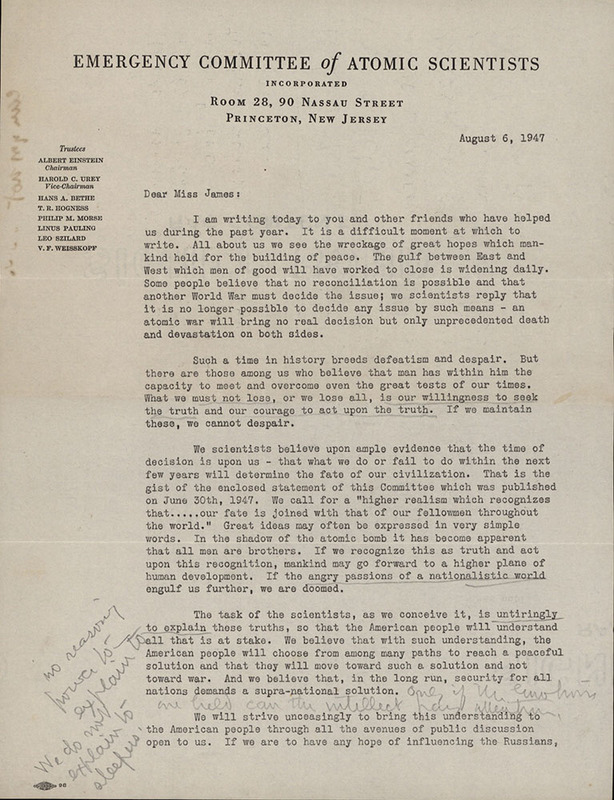 She recommends that he read several titles, and pledges financial support.